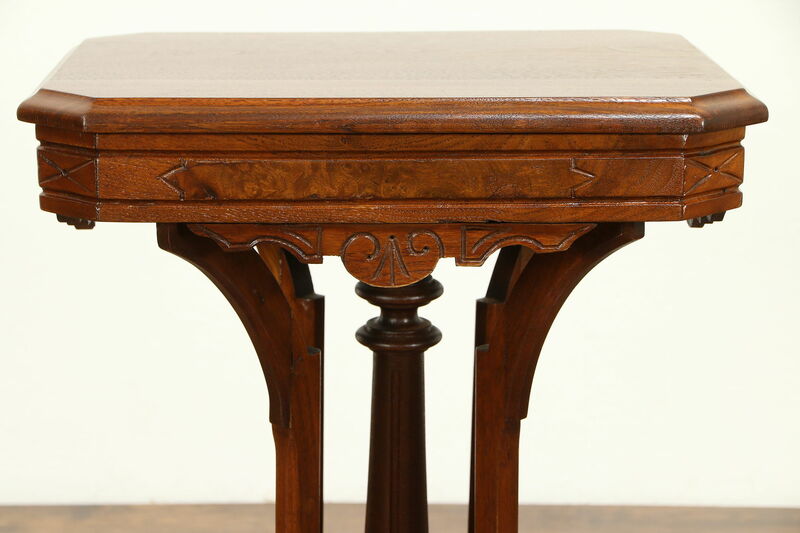 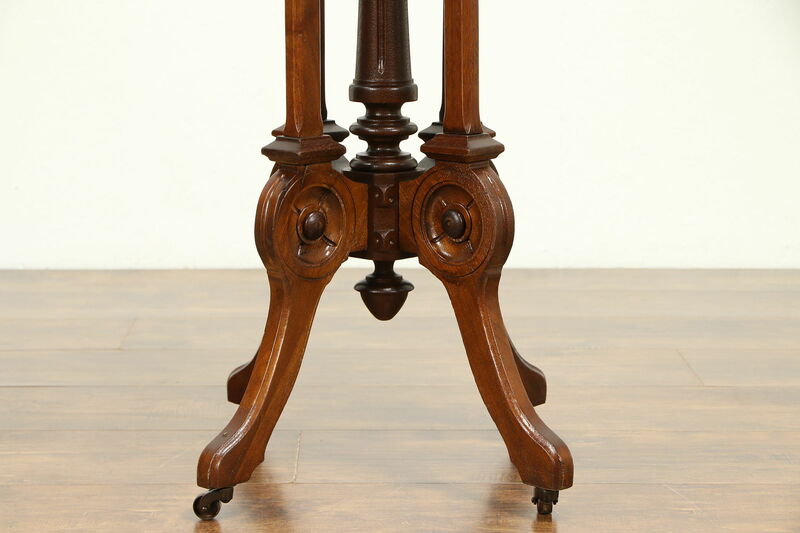 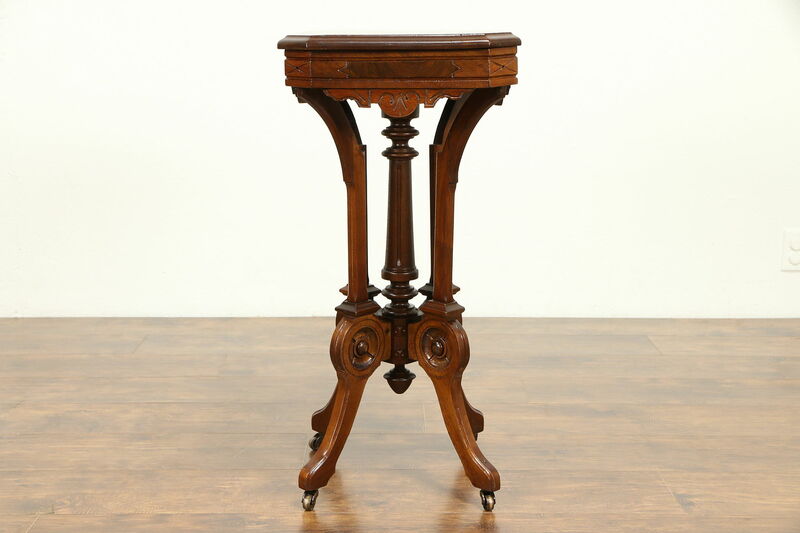 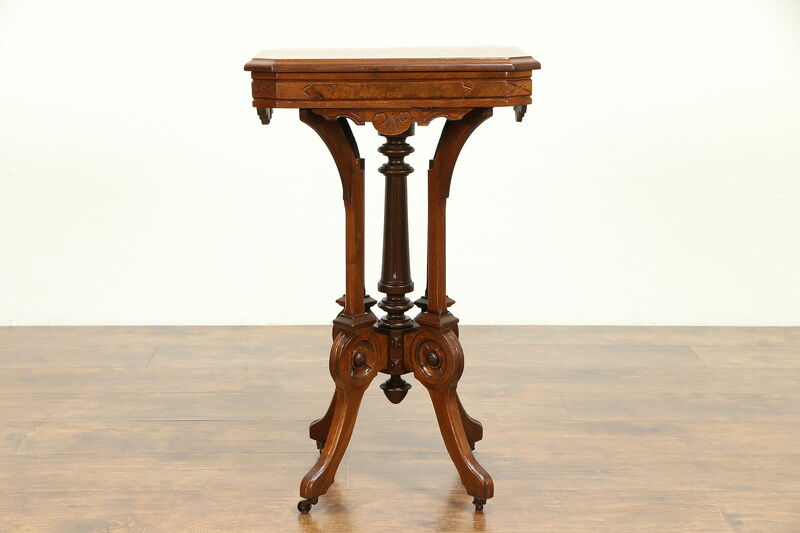 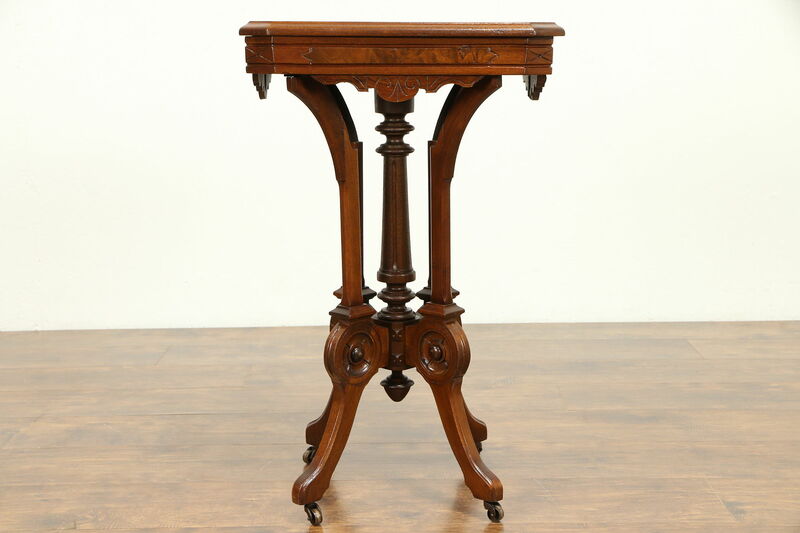 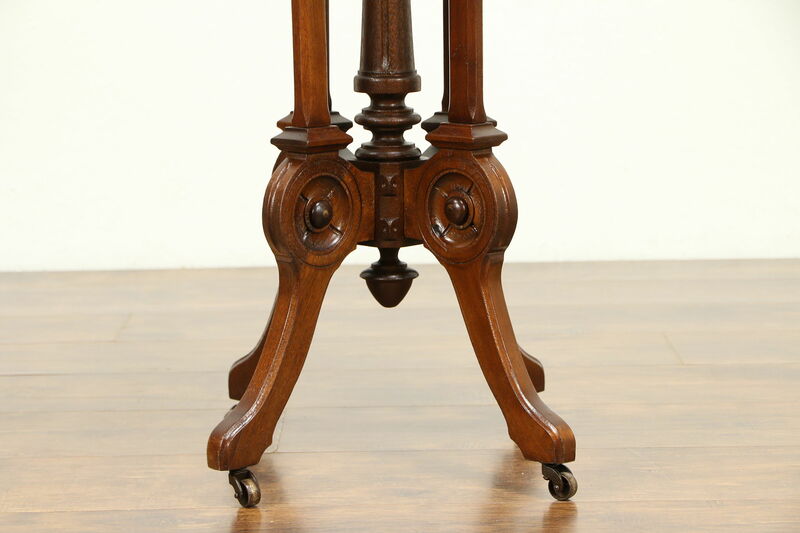 A Victorian period small lamp table, plant or sculpture pedestal was hand carved of solid walnut with burl panels about 1860. 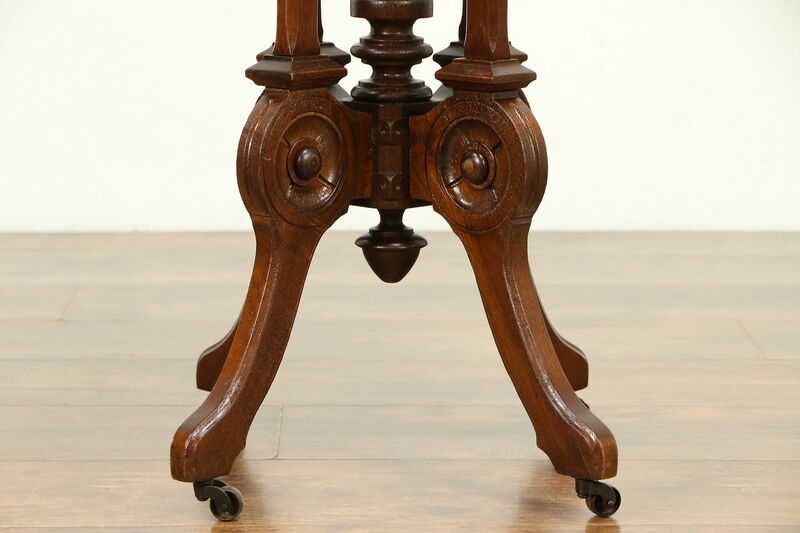 Original brass wheels are removable. 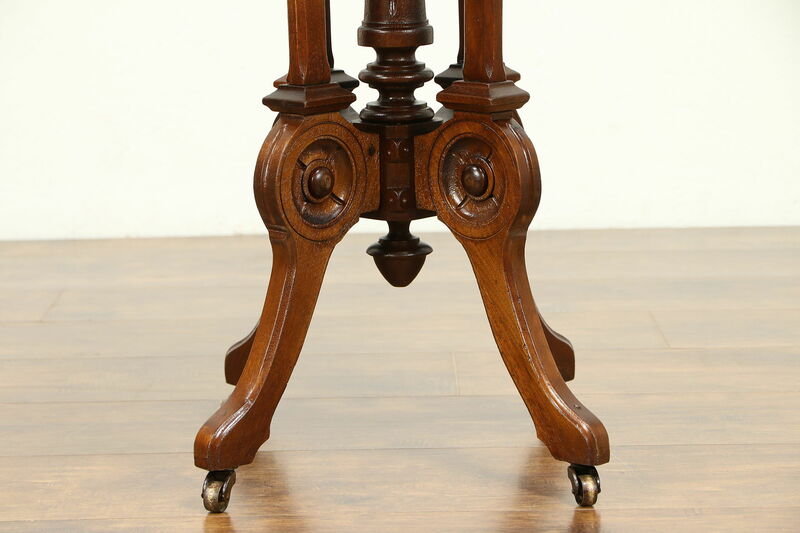 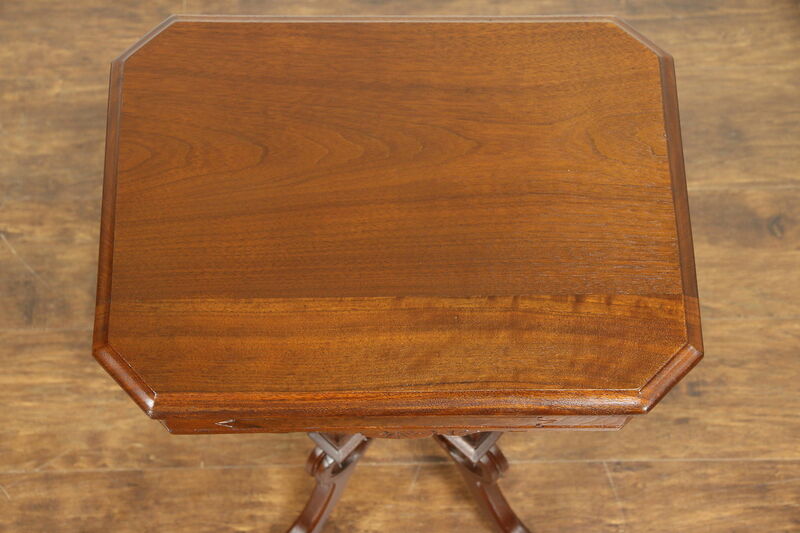 The restored gleaming finish is in excellent condition on this American made antique furniture. 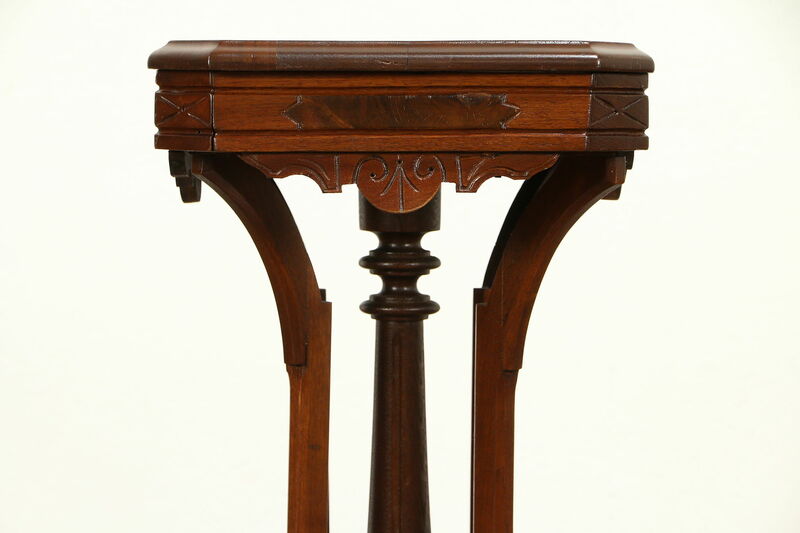 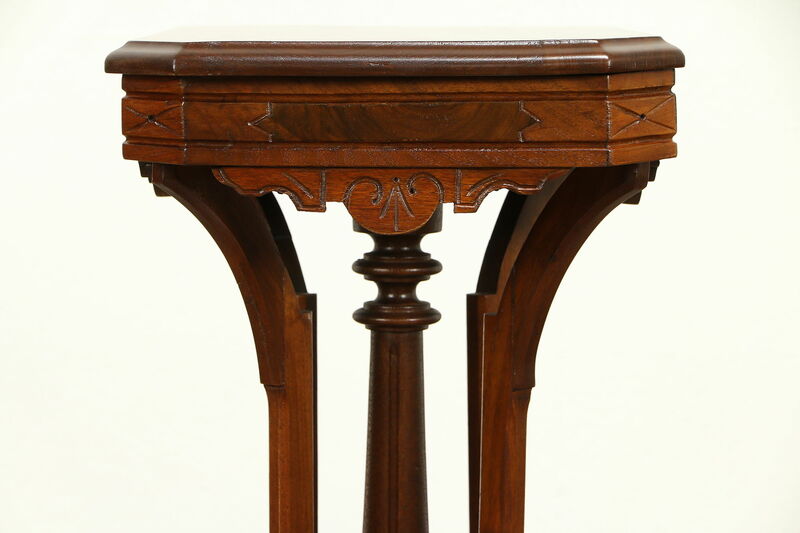 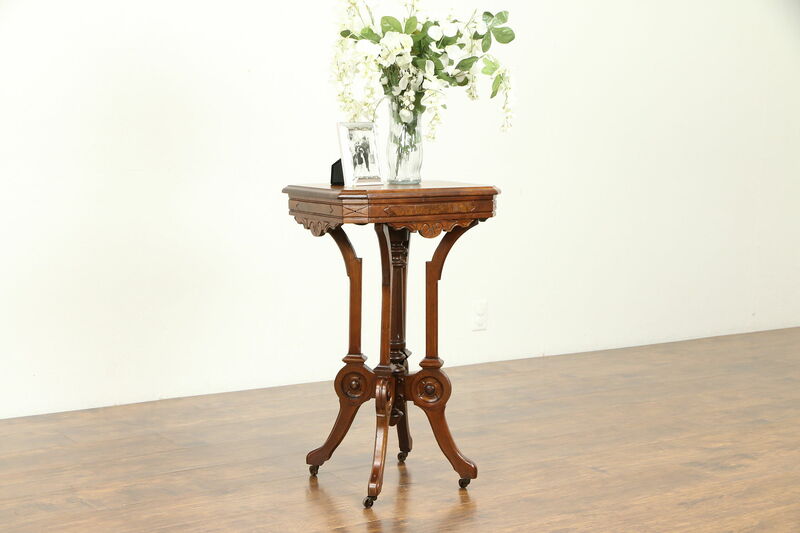 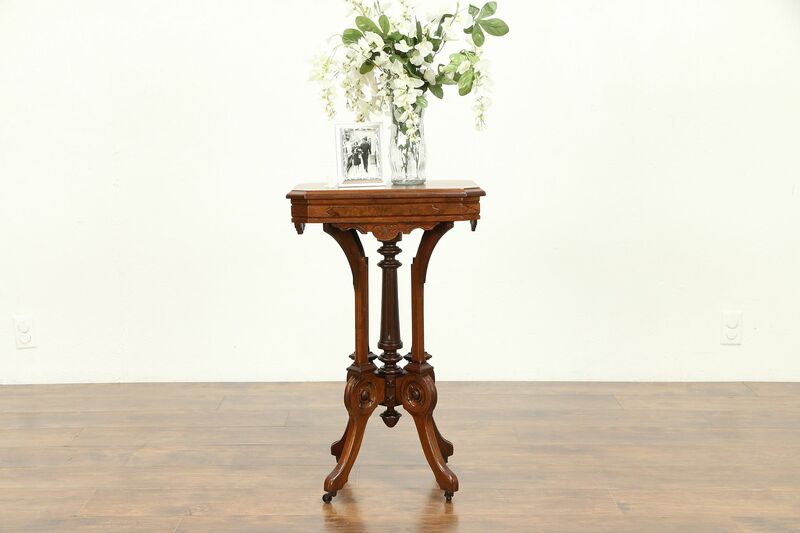 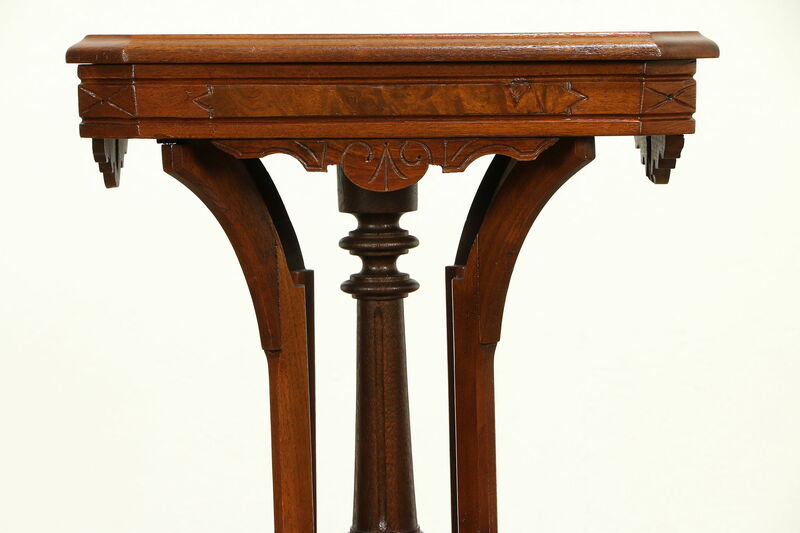 Sturdy and strong, the graceful pedestal was reglued to serve another generation. 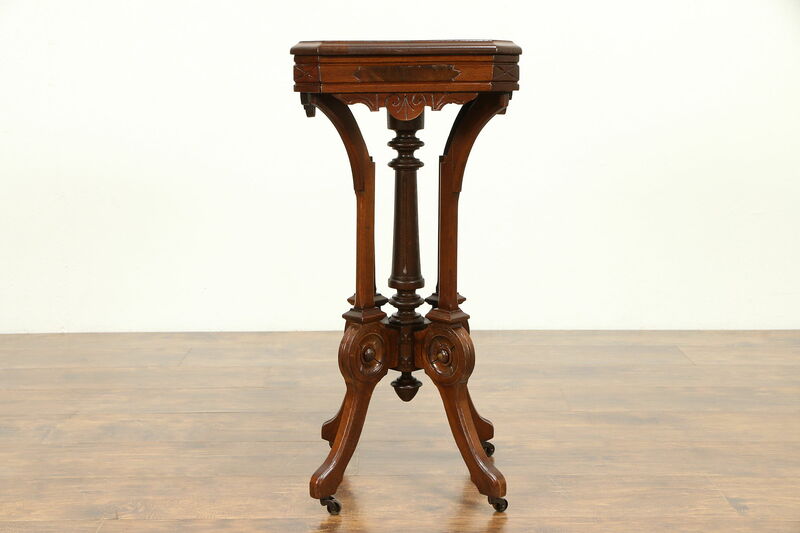 Measurements are 19" x 14 1/2" and 30" tall.